exportgoldman: I would stay it's standard business practice, looking at Vodafone's price gorging pricings on their website for other services. If anything Vodafone would be flattered, imitation is the sincerest form of flattery. Please. Don't be absurd. This is not standard process and if something is introduced (like this "service") when we're notified of it, we will respond. PaulBrislen: Unless we're notified we're quite removed from the process so it's hard to spot. We rely, to some extent, on the companies signing up with us to manage those third parties that are offering services to be honest and upfront. We also rely on customers telling us when there's a problem. I saw this on another thread recently about CallPlus - if you have a problem, let us know and we'll raise a ticket and have a look at it. Nobody here is a mind reader (well, not a licensed one at any rate) so we can't tell what's going on by osmosis. Now I have to disagree. There is a huge amount of data stored in the Vodafone database. It's a gold mine of information. And information can be analysed - automagically even. Like set some rules for example... If something is costing more than an average service in the same category then have an alarm raised so someone can have a look to see if it is not a scam. The way you are saying here it sounds as Vodafone is tied and can't do anything to rat out those scammers, when in fact you can do - just need to use the data collated over months and months of billing, rating, contract, etc. Can't see any problems with those premium prices. Your right, completely different service, no price gorging there. My bad. Ooops. Forgot about these Vodafone New Zealand data prices. Well Paul, you have to be a psychic of some sort to know if something like this happens when you are on prepay, and my past efforts of dealing with the call center about over billed calls has been totally fruitless with the staff telling me that I made the calls and that there was no way that the system was wrong. If you guys cant tell when people are getting ripped off by services like this, and the users cant tell since they cant see where their money is going (no doubt a decision by marketing to keep ignorant prepay users blowing all their money on vodafone live pay stuff) then you must admit that you have a problem. Short of texting bal to 777 after every call and keeping a log of it, there is no way to know what each action on the network costs, and with things like this it makes me very hesitant to put lots of cash onto the phone when I get the 50% extra top up texts since I _KNOW_ if it goes missing I have no comeback. Imagine if your bank operated like that where you had no idea where you had spent your credit card, only how much was left on it - There would be huge uproar in cases like that, and I can't see why its not happening with prepay phone balances. Agreed, on both my phones I have always only ever topped up my phones by the minimum top up amount. And even then, I only top up when I really have to (i.e. NO credit left, or very close to it). Surely VF could set it up that any txt that costs more than say $5 per msg needs to go through an extra round of approvals or whatever. Though frankly even a single $5 txt to me sounds outrageous, let alone $30 per txt!! I really don't see the point of these "premium services" . dman: Agreed, on both my phones I have always only ever topped up my phones by the minimum top up amount. Well, some of those premium services are like "text **** to donate $20 to the SPCA", and that makes sense. Though I cannot fathom what sort of externally originated SMS service could justify that sort of pricing. 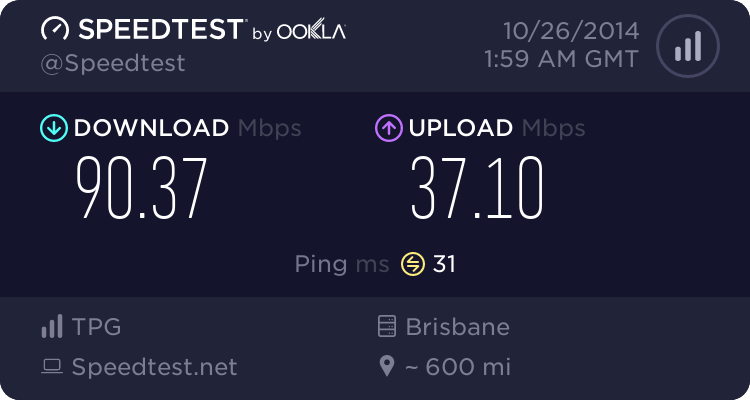 I finally have fibre! Had to leave the country to get it though. True, I'd forgotten about donations (i.e. "throwing your money away"). But surely they are (relatively) rare enough that the charity campaigns can go through an extra layer of vetting or what have you. To the original poster: Does your Girlfriend have her mobile number on her facebook account? With the amount of apps on there that people add, without any idea who's actually running them and what data they're collecting, I wonder how long it is before this sort of thing starts happening more often. There is another (crap) service called ZOLTAR running on this shortcode which is sitting at "www.yourdestinyrevealed.co.nz"
I have had all sorts of problems with it before spamming out random traffic to my 027 numbers. Both Telco's seem to hide behind jargon and advise me "I need to contact the service provider usually by some obscure offshore email account" when I bring this up with them. We have 0900 blocking available, Why can we not have Premium SMS barred? Though at least it's not such a plague as Australia where horrible premium SMS services are plastered over the TV. I've seem those SMS advertising on TV in NZ too (though not for a long time, as I don't own a TV). Just 5 minutes ago my wife got sucked into myluvcrush.com - They are advertising on facebook using a banner ad that looks very much like its a facebook "feature" to reveal someone has a luv crush on you. Unfortunately she went the extra step of entering her cellphone number, a txt turned up with a pin - she put this into the website and wammo - horoscopes in her inbox. She realised she'd done a silly thing straight away and told me so I found who to send the "STOP" txt to and she's now unsubscribed but we have yet to find out how much she's already been billed. Basically I can confirm that myluvcrush DOES sent a confirmation TXT in the form of a pin to enter back on the website (or at least they do now) so perhaps your girlfriend did subscribe but didn't connect myluvcrush with clicking all the usual crap on facebook. The website states it only works in the US and non-US customers shouldn't subscribe so maybe the billing won't get through anymore? Bloody clever the way they've done their ad's on facebook though - I followed the ad once thinking it was a facebook feature but as soon as it asked for my cellphone number I new it was a txt billing scam - The bit mentioning you will be billed for the txt's is in tiny writing below the MASSIVE flash interface for the signup so its easy to miss if you are trusting. Well, well, well doesnt it just show you thats its not always the big-guy (Vodafone) at fault?? How many people do we know are members of facebook?? If Matt can be tricked into it, then I guess we all can!! I'm now very aware of what I to subscribe to on Facebook!! No, but what is still vodafones fault is that you cant easily see what each of these premium services costs or get details on who the operator of the service is to get in touch with them. A friend bought a phone that came with a prepay sim card - figured it was as good as buying a new one since it had an ok number. Put $20 on it and it was gone in a couple of days with the texts. about 45 mins on the phone was wasted over it, and they still wouldnt help since he was not the registered owner. In the end he just bought a new connetion pack to escape them. mobiusnz: Just 5 minutes ago my wife got sucked into myluvcrush.com - They are advertising on facebook using a banner ad that looks very much like its a facebook "feature" to reveal someone has a luv crush on you. Unfortunately she went the extra step of entering her cellphone number, a txt turned up with a pin - she put this into the website and wammo - horoscopes in her inbox. She realised she'd done a silly thing straight away and told me so I found who to send the "STOP" txt to and she's now unsubscribed but we have yet to find out how much she's already been billed. Reasons like this are just reinforcing my support for AD-blocking, I'd never bother when it was just "banners and adwords" but most web pages are now utterly plastered with junk ads which will eventually kill the market.